Convenient 25 mg CBD Sublingual Strips with fresh mint flavoring. Available in 5-pack, these CBD mouth strips come in paper-thin packaging with convenient zipper locks. WHY CBD STRIPS? Every strip in your CBD Sublingual Strips pouch contains 25 mg of CBD. 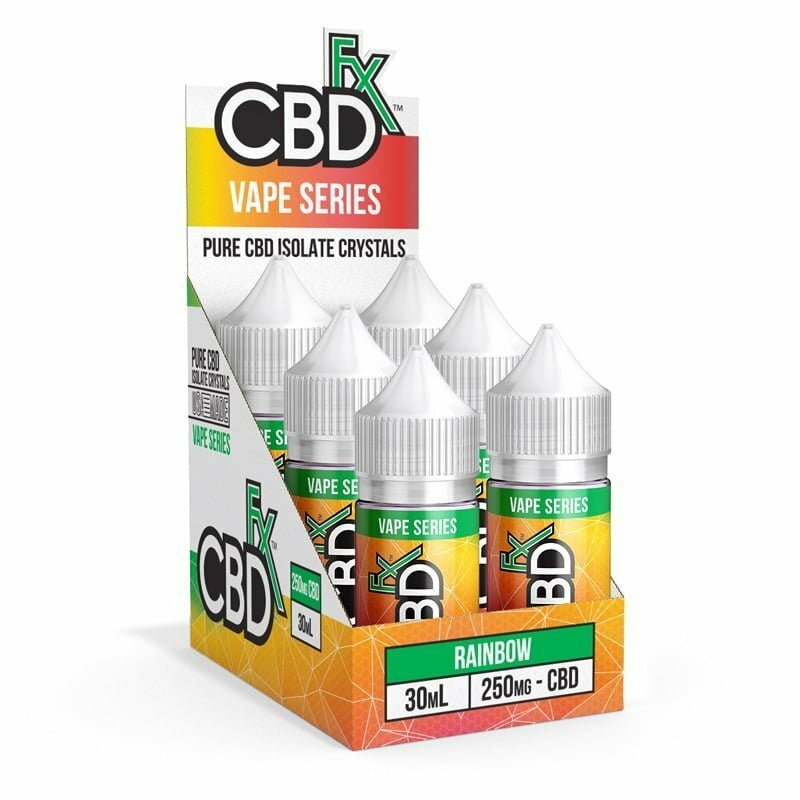 This dose is perfect for experienced CBD lovers who are looking for a more potent product or novice CBD users who want the best deal on organically-grown CBD. With its convenient zipper lock pouch, a pack of CBD Sublingual Strips is easy to take with you wherever you need to go throughout the day. Plus, these strips make your breath smell nice and fresh. WHY CBDFX? We only use the best organic hemp CBD to make and formulate our CBD Sublingual Strips. CBDfx is one of the only companies to offer a CBD product as discrete and convenient as our CBD Sublingual Strips. HOW DO I USE IT? Always follow all label instructions. Insert one CBD Sublingual Strip on your tongue and allow it to dissolve. Use one strip at first, and increase the dosage as desired after you evaluate the effects of CBD on your system. ANY SIDE EFFECTS? CBD doesn’t have any significant side effects. Some customers may experience mild sleepiness after using our CBD Sublingual Strips, but unlike THC, CBD doesn’t have any psychoactive effects. Since we only use all-natural ingredients to formulate our strips, these ingredients don’t cause side effects. How are CBD oral strips unique? Do CBDfx sublingual strips contain marijuana? No. These CBD edibles do not contain THC, which is the primary constituent of marijuana. The CBD in our Sublingual Strips is derived from hemp, and the DEA recently ruled that CBD is no longer a Schedule I drug. CBD won’t get you high, and this cannabinoid is no longer considered to be in the same legal class as marijuana. Plus, CBD won’t cause you to fail a drug test for THC or cannabis. Can CBD mouth strips help with anxiety? Plenty of our customers have reported amazing results from using our CBD products for anxiety. According to Eve S., our gummies are “[g]reat for calming during the day. Wonderful for sleeping at night.” Garret P. even says that these gummies help with other symptoms. “Love the CBD gummies. Easy to take and taste good. Great way to help elevate day to day anxieties and inflammation.” Keith B. adds his insight by saying that “[m]y sleep has greatly improved and I stopped taking my anxiety meds” after he started using our CBD gummies.